Enterprise digital rights management (E-DRM) systems protect busi- ness digital applications by allowing an author in an organization to se- curely upload his confidential package/file and store the contents in a private way on secure servers. This is done in a way that – later – allows an authorized user who is able to prove his authorization for the pack- age to an authorization authority to download and use these contents in a private way. However, the user maybe authorized for many archived packages and files of very large sizes and at the same time, he is targeting only a file that contains certain private keywords.  It is inadequate that the user downloads and decrypts all the materials he is authorized for in order to pick one. 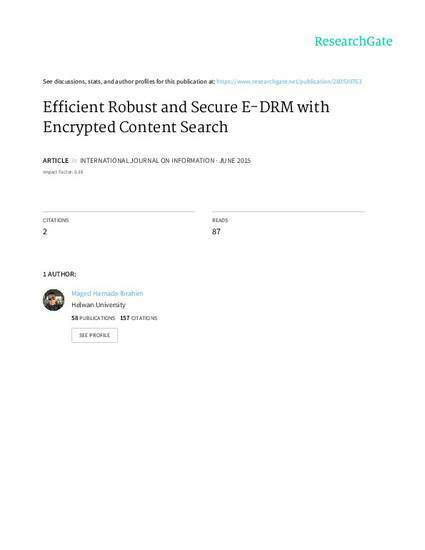 In this paper we propose an efficient (E-DRM) protocol for robust and secure storage and retrieval of digital contents with the property that allows the user in a non-interactive way to search the files in their encrypted form for matching private keywords and then to download these particular files.